Arabian Ranches 3 having the excellent transport links that the community enjoys. Sun Townhouses is the residential key areas of the city will be only a short drive away, including Downtown Dubai, Mall of the Emirates and two international airports. 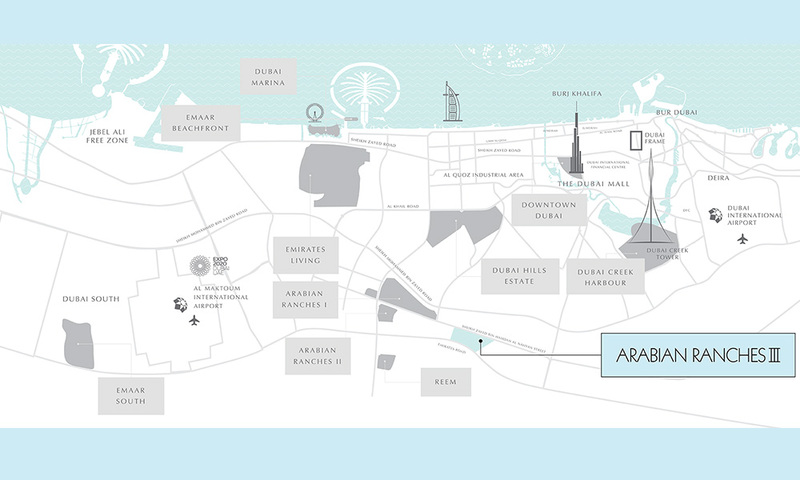 Communication is easy with the location of Arabian ranches, it is connected with a dedicated link to the Dubai Metro, and further enhancing accessibility across the city is a great opportunity to be the part of it.